This reader remains the only major new reader of Old English prose and verse in the past forty years. The second edition is extensively revised throughout, with the addition of a new 'Beginning Old English' section for newcomers to the Old English language, along with a new extract from Beowulf. The fifty-seven individual texts include established favourites such as The Battle of Maldon and Wulfstan's Sermon of the Wolf, as well as others not otherwise readily available, such as an extract from Apollonius of Tyre. Modern English glosses for every prose-passage and poem are provided on the same page as the text, along with extensive notes. A succinct reference grammar is appended, along with guides to pronunciation and to grammatical terminology. A comprehensive glossary lists and analyses all the Old English words that occur in the book. Headnotes to each of the six text sections, and to every individual text, establish their literary and historical contexts, and illustrate the rich cultural variety of Anglo-Saxon England. 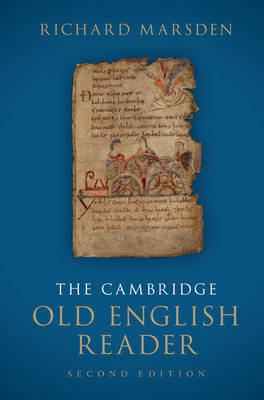 This second edition is an accessible and scholarly introduction to Old English.